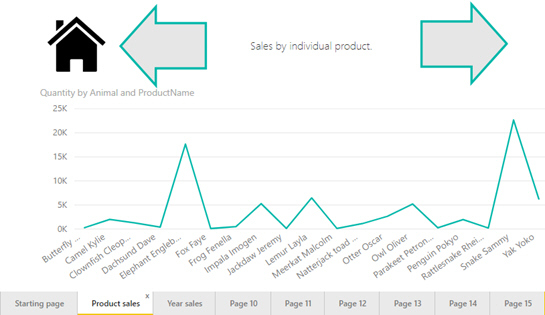 This blog gives some suggestions for how you might use the new bookmarks feature in Power BI Desktop. 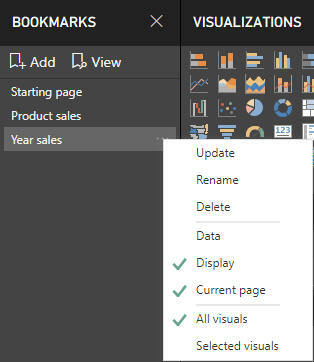 You can use bookmarks to control the movement of users within your reports by hiding pages and then providing arrows to move back and forward between them. Why grey and green as default colours? I have no taste, but even I balk at those colours! This first page will have the only slicers in the entire report. The slicer settings will carry over between the pages. Since I want the first page's slicers to carry their filters over I un-tick Data. I've repeated this step for each of my pages. 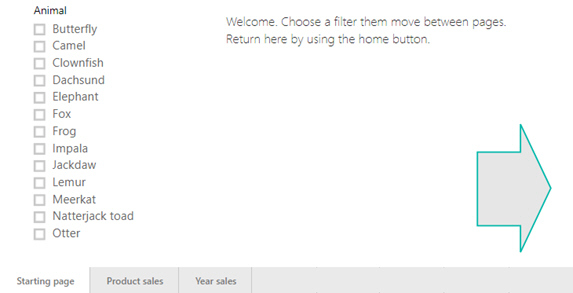 Right-click and choose Hide Page. For hopefully obvious reasons, you can still see them in editing mode. All the hard work is now complete. Time to add the links to each of our arrows, and to our home buttons. Apply the bookmark for the next page to each forward arrow. This will be the only way for users to move forward. Back arrows can be set to back rather than bookmarks, since the only way of getting to this page is from the previous one in order. 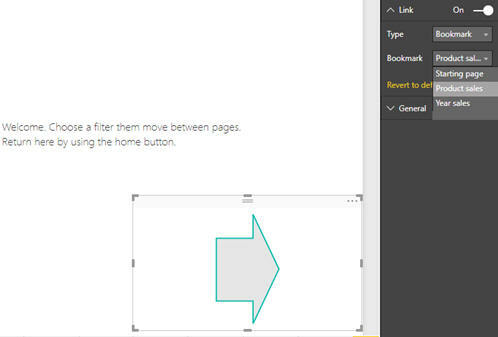 Connect the home icon to the starting page bookmark. If you left data un-ticked then users will see their last slicer settings. Now repeat this for every page in the report!